So, there is this artist I follow on Instagram and Tumblr called Laura Callaghan. I love how her drawings are so detailed and have lots of patterns. 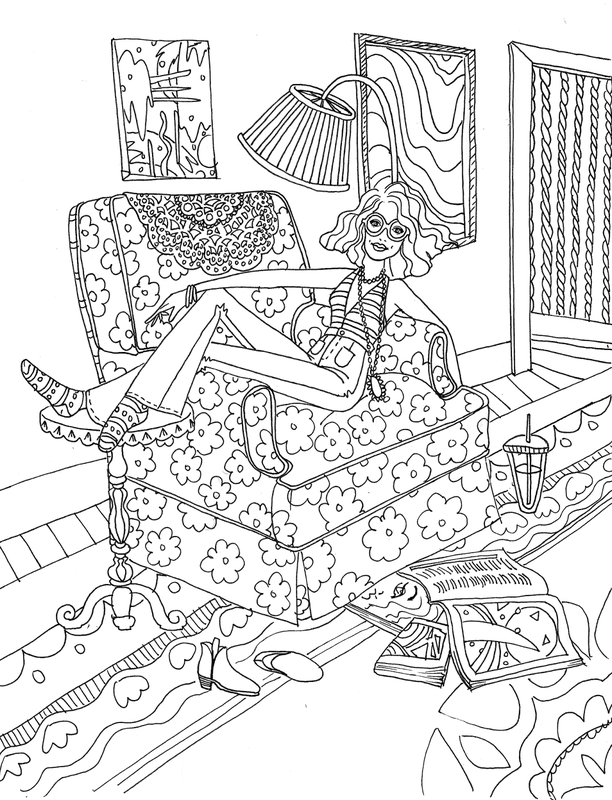 This coloring page is a little wonky (I free handed everything, so especially the rug is weird), and it doesn't have as much pattern as Callaghan's usually do, but I think it'd be fun to color. 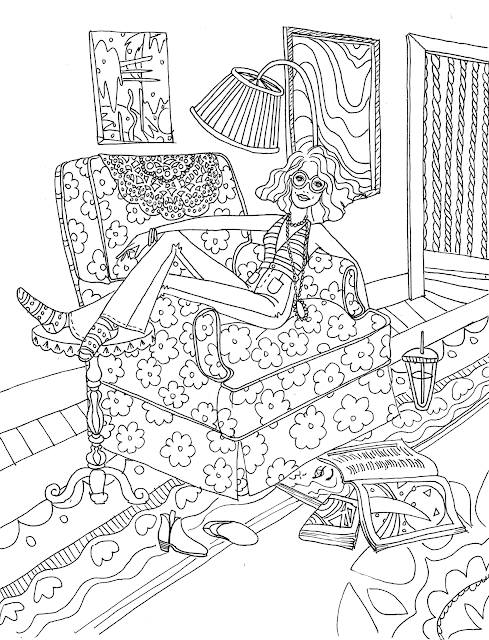 This coloring page will fit nicely on an 8.5 x 11 sheet of paper if you want to print it out and spend some time coloring on this fine Monday. That's it for me! Happy Monday!